Hot and wet. In three words: a summary of our recent weather, which has led to a resurgence of mosquitos, will-sapping levels of humidity, rampant mold and mildew, minor street flooding, and other typically mid-summer ills, including the near-constant need to mow the lawn. Everywhere I turn, it’s heat and humidity, or heat and stupidity; one is just as bad as the other. Since an escape trip to Maine or San Francisco isn’t in my summer plans, I ran off to soothe myself at Restaurant August’s $20.11 prix fixe lunch special. I sat in August’s dark-paneled bar. It is cool and quiet on weekdays, separated from the dining room by a wall of windows–a perfect spot for solo dining and people-watching. The prix fixe menu offers three seasonally-appropriate choices in each of three courses. On a recent visit, I began my meal with watermelon gaspacho, which arrived as a brunoise of watermelon and tomatoes, crowned with canteloupe balls the size of petits pois and shoots of basil and mint. 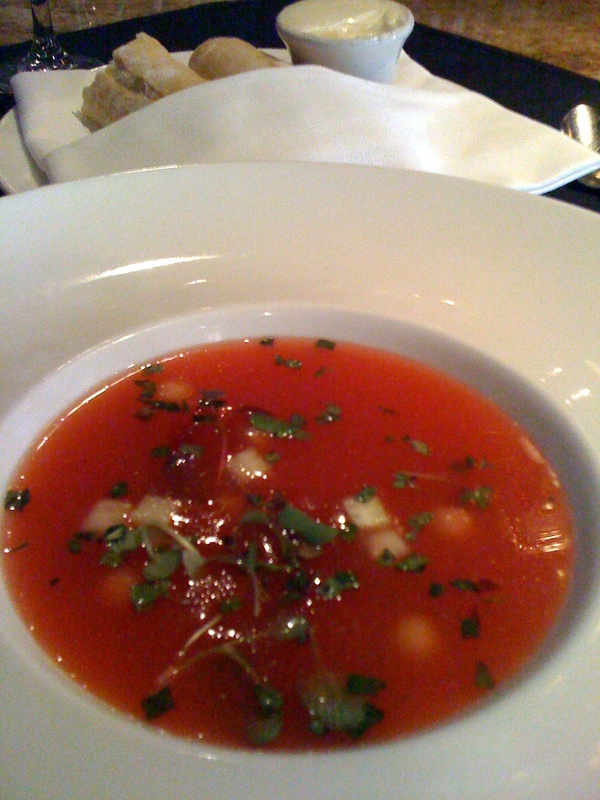 A server filled the bowl tableside with a piquant watermelon soup, poured from a silver pitcher. Two spoons in, the hot mess beyond the restaurant’s front door faded into memory, helped along by housemade bread and stellar soft butter. The pan-roasted sheepshead arrived, resting atop a round of Silver Queen corn custard and crowned with a sprig of deep purple opal basil. 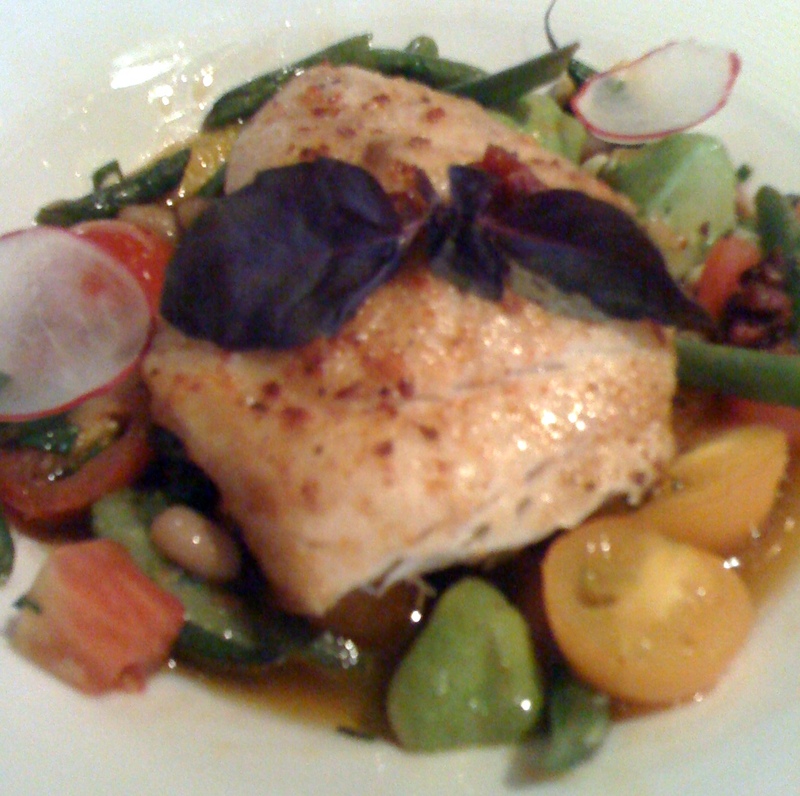 Surrounding the fish were summer flavors and colors: peeled tricolor cherry tomatoes, avocado, thin haricots verts, blackeyed peas, shaved radishes, and bacon together in an herbed butter. The dish tasted and looked as bright as a midday summer sky, with the tomatoes’ acidity providing counterpoint to the buttery fish and delicate corn custard. 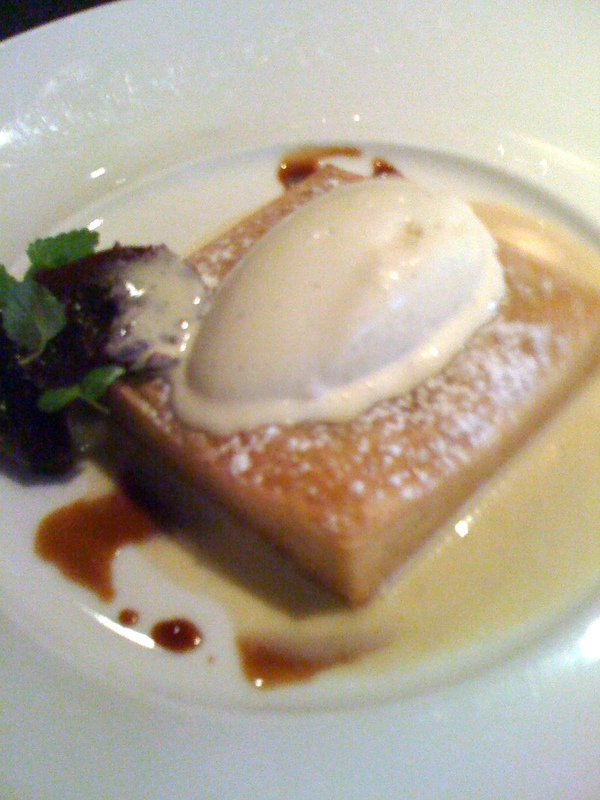 The tender, subtle sweet corn custard was a bit lost under it all, though a few more bites of custard might have changed my opinion. Oh that looks divine! We will be visiting New Orleans next month for our 34th anniversery. As my husband says, we will be at August in August. We love it! Well done. Now I’m hungry trapped at my desk at 0900 on a Monday morning. That did look like a divine lunch! Thanks for sharing.